Want to find out if your book at home is an AR book? books you own or public library books have an AR quiz. 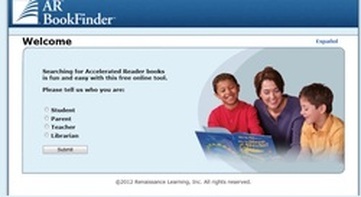 This site may also be helpful if you are wanting to know the AR book level (reading level) or interest level when you are out shopping for books or are in a public library. You can use the keycode below to see which A.R. books we have in our St. Matthew library.